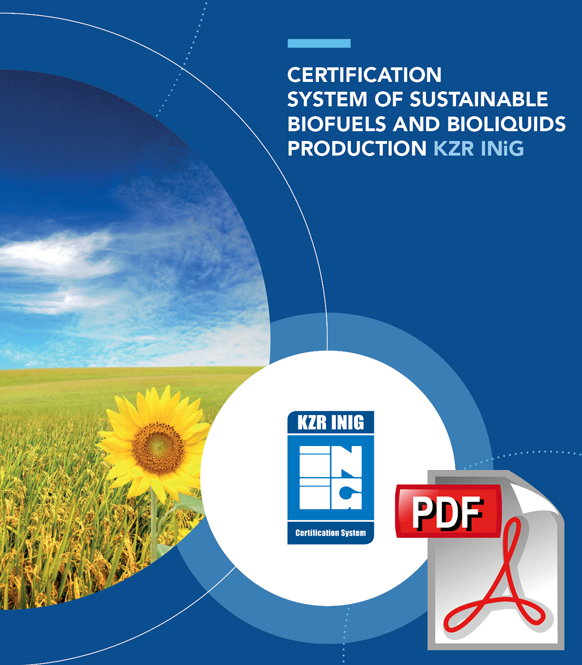 The KZR INIG System is used to certify the sustainable production of biofuels, bioliquids and raw materials. The solutions and procedures offered by the System has gained recognition from the European Commission. Certified products serve the purpose of achieving renewable energy targets set in the EU policies. The aim of the System is to provide solutions that ensure the production of renewable energy in accordance with sustainability criteria. In September 2017, the System requirements were updated and approved by the European Commission - Letter of confirmation 2017. The KZR INIG System has no territorial restrictions. This means that any supplier associated with the supply chain may be subject to certification, regardless of the place of business. The KZR INIG System has been developed at the Oil and Gas Institute â€“ National Research Institute a company with more than 70 years of tradition, knowledge and experience in the field of biofuels, closely cooperating with the industry all over the world. It is here, where the first European standard for ethanol, as a component of motor fuels was developed. The institute has been cooperating with the Polish industry since the beginning of the 1990s, initially helping to introduce ethanol into gasoline and then FAME to diesel. The institute currently conducting research on co-processing of fossil fuels and biofuels. Commission Implementing Decision No. 2014/325/EU of 3 June 2014.